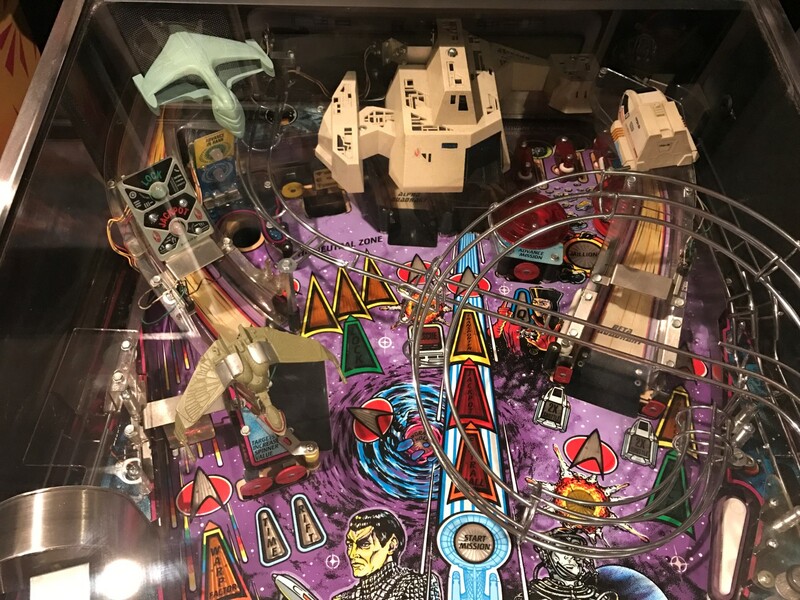 There’s no doubt about it, when it comes to collectible pinball machines, Williams is the gold standard to which all others are held to. Throughout the 80’s and 90’s they made a ton of huge hits that are very sought after even today. The question for some people is “What are the best Williams pinball machines ever made?”. This post will go over the 15 best. #1) Medieval Madness. By all standards, it is the most sought after and collectible game Williams made. In fact, it was so popular that they even remade it a couple years because prices for the originals had gone over $10k. Why is it so popular? It’s the combination of working castle combined with killer rules and voices from people like Tina Fey (before she was famous). It’s a very challenging game that is also very popular with guests. Who doesn’t like to destroy a castle? Current cost is around $8k. #2) Attack From Mars. The precursor to Medieval Madness, Attack From Mars is the game that made designer Brian Eddy famous. Featuring a giant saucer and hilarious voice quotes, Attack From Mars is the perfect mix of challenge and fun. Personally, it might be my favorite of all of their games (it’s close). It was also so popular that they remade it as well. It can be bought new right for as little as $6500 for the classic to $8000 for the LE. #3) The Addams Family. As far as being recognizable by pinball players, there’s probably no bigger title than The Addams Family. It was the biggest hit in pinball history, selling more than any other pinball machine in history. Pat Lawlor became famous from the design, especially with the Thing hand that comes out and takes the ball. With original quotes from the actors and a full mansion to tour to get to the wizard mode, The Addams Family set a new standard for pinball machines. #4) Twilight Zone. The followup by Pat Lawlor to The Addams Family, Twilight Zone was initially not super successful on route due to the shear amount of things required to keep it running. It was a little too complicated for new players, and when combined with the reliability issues, it suffered when compared to The Addams Family before it. However, later on collectors began to figure out how great the game is, and prices skyrocketed on it. It’s hard to name another pinball machine that has more stuff packed in, from the gumball machine to the powerball playfield. #5) Star Trek: The Next Generation. A masterpiece by Steve Ritchie, the king of flow. 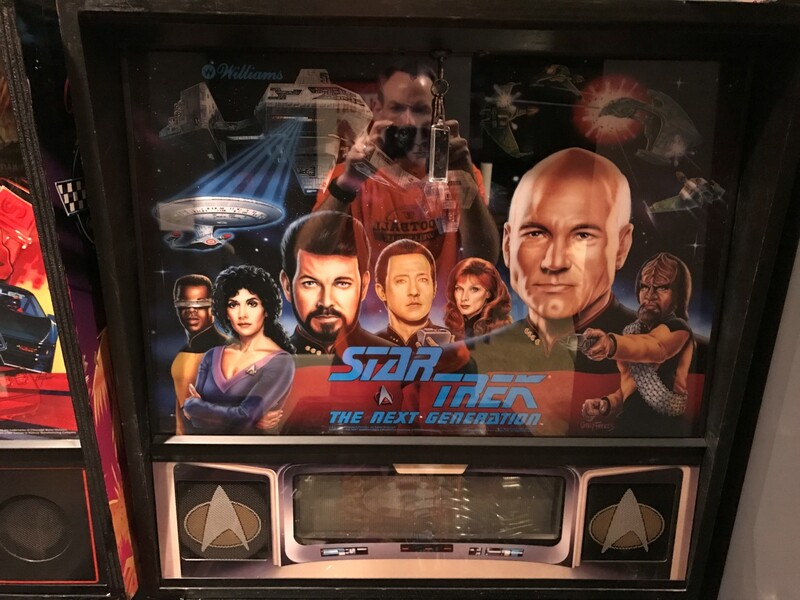 Featuring 3 ramps, two rotating cannons, and callouts from the entire cast, Star Trek: The Next Generation set a new standard for immersion in a pinball machine. Featuring 7 missions to get to the Final Frontier, it’s a challenging game that keeps you coming back for more. I actually own this game in my collection, it’s a keeper for me. It’s one of the few games that actually has feature that fights back against you, the Borg ship that launches balls at you. #6) Monster Bash. Another game similar to Medieval Madness and Attack From Mars, it features the same programmer as those games, Lyman Sheets. You’ll actually see his name on a lot of the top games, he’s probably the most popular pinball programmer of all time along with Keith Johnson. Monster Bash has the same layout and humor that made the other two games I mentioned popular, only not quite as good in my opinion. It’s a little easier than the other two and usually doesn’t last as long in collections. They’re also remaking Monster Bash as well. #7) Funhouse. The first game to feature a giant head on the playfield, Rudy has creeped people out for years. It was an amazing innovation at the time, and honestly it’s better than most of the things out today as far as playfield toys go. The fact that Rudy eats balls and talks make it a pretty cool experience, though he might scare younger children. Funhouse is the game that really started the whole 90’s Williams craze with all of the innovative playfield inventions. #8) Indiana Jones: The Pinball Adventure. Another one of the early 90’s Supergames, Indiana Jones was big success. Another very popular game to collect, mainly due to the theme (as Williams had a bad habit of picking dud movies as themes a lot). It features a moving “Path of Adventure” in the back that is pretty cool, along with a rotating head on the side that works to release balls. My favorite part of the game was definitely the modes, they were excellent. Shooting wise, I don’t think it was as smooth as some of the other games of the era, mainly due to mode start bounce outs and drop target ricochets down the left outlane. #9) Bram Stroker’s Dracula. The first game on the list with an undesirable theme, it more than makes up for it with some killer gameplay. The objective of the game is to start all three of the main multiballs together to get jackpots worth 30 million. The coolest thing about the game is the mist multiball, where the ball magically moves across the playfield and you have to knock it off with another ball. The theme can kind of drag down the ratings a little bit, but a lot of collectors have this game in their collection. #10) Creature From The Black Lagoon. I used to own this game a while back, the theme isn’t what it appears at first glance. It’s really about drive in movies from the 50’s and 60’s, and the things associated with them. The objective of the game is to spell FILM to start mulitball and find the creature (which is actually a moving hologram under the playfield). It’s a very cool game overall, one that a lot of people would like to have in their collection. #11) White Water. The game with the worst intro music I’ve heard in pinball. It actually gets pretty good in the rest of the game, but the beginning is so not motivating, lol. There’s a lot of cool things going on in this game, the playfield is super unique and the ruleset is as well. It’s basically about trying to get your raft down a stream to Wet Willie’s by shooting the lit shots. It sounds easy in practice but it get pretty difficult towards the end. #12) Whirlwind. The first game with three spinning discs, it took the concept from Fireball and tripled the fun. The game actually has a fan on top that actually blows in your face at certain parts of the game, which is quite funny. Whirlwind itself is very fun but also simpler compared to most of the games on this list. The game is mainly about shooting the directional shots to lock balls for multiball. It’s not a super hard task, but with the discs the balls get shot down the outlanes a lot, especially on the right side. #13) The Shadow. Another game with an undesirable theme. The movie was really hyped but was kind of a dud. Luckily for us, the pinball machine is awesome. It was actually be much higher on this list if the theme was a little better, it holds the game back some. The game offers three pretty innovative features, mainly the battlefield, the movable ramps, and the disappearing ball lock. The ball lock, for anyone who hasn’t seen it, it very cool to see. However, it’s also the number one thing that goes wrong on the game, as it wears the wood pretty badly and is sometime inconsistent with its throws as a result. Great game to have at home, as it’s very challenging. #14) Congo. More bad themes! Man, Williams just knew how to pick every dud of the 90’s, lol. Congo the pinball machine is awesome though. For a long time when I was collecting, Congo was a pretty undesirable machine, but about 5 years ago it started to become really popular because people finally figured out how well it played and forgot about the theme. The main goal of the game is to collect 100 diamonds. Some diamonds are easy to get, but others are difficult. #15) Theater of Magic. One of the most beautiful games in pinball. Everything about this game is aesthetically great. It’s the gold standard (along with Tales of the Arabian Nights) for pinball art packages. It doesn’t play quite as well as some of the other games on this list, mainly due to uninspired modes and callouts. It’s one of those games that with a slightly tweaked software package it would probably be ranked a little higher. Still, a game that’s definitely worth having.